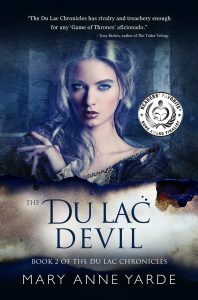 My guest today is Mary Anne Yarde, the Award Winning author of the International Best Selling Series — The Du Lac Chronicles. 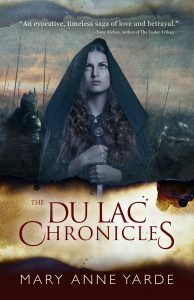 Set a generation after the fall of King Arthur, The Du Lac Chronicles takes you on a journey through Dark Age Briton and Brittany, where you will meet new friends and terrifying foes. Born in Bath, England, Mary Anne grew up in the southwest of England, surrounded and influenced by centuries of history and mythology. Glastonbury — the fabled Isle of Avalon — was a mere fifteen-minute drive from her home, and tales of King Arthur and his knights were part of her childhood. 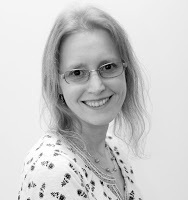 You can connect with Mary Anne Yarde via Facebook, Twitter and her blog. You can also purchase The Du Lac Chronicles series via Amazon. I cannot remember a specific moment when I suddenly felt inspired to write. Writing is always something that I just enjoyed doing. It was a hobby that I never took particularly seriously. About fifteen years ago I came up with this idea about a story set in Arthurian Britain. At the time one of my dearest friends was studying creative writing at university, and we started talking about the writing that she was working on and I said, “I’ve got this crazy idea about a story set in Arthurian times,” and as good friends do, she said, “Tell me your idea.” For the next hour that is what I did. When I had finished, my friend said, “You really have to write that book.” So that is what I did. I borrowed all her university textbooks and jumped in at the deep end. It took me twelve years to have a manuscript that I was happy with, so for me, it was certainly not a quick process. I don’t think there is one particular author that influenced my writing. I am an avid reader, so I think that certainly helped. 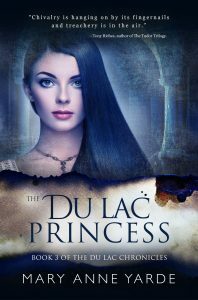 My latest release, The Du Lac Prophecy, is book four of The Du Lac Chronicles series. This series is set in the late fifth and the early sixth century in post-Arthurian Britain. This was a time of myths and legends, and I am fascinated by the stories that come from this period. I wanted to explore what happened after the death of the legendary King Arthur. I wanted to write a story about the next generation of knights and how they navigated a somewhat turbulent era in history. It was imperative that I made the backdrop to this series as realistic to the period of history as I could. During this time we saw the demise of the Western Roman Empire. Men such as Clovis took advantage of Rome’s weakness and, in his case, forged a kingdom for himself. While Clovis was creating a united Frank, Britain was desperately trying to defend her coasts, from the Saxon’s, Jutes and the Angles, but without the support of Rome, and without unity, she did not stand a chance. Then there was the ever-growing influence of The Roman Catholic Church, and their battle against what they saw as the pagan religions, and of course there was that very subtle split between the Church of Rome and what is now known as Celtic Christianity, which is something I wanted to explore in my series. This was a time of considerable uncertainty and significant change. It is the perfect setting for my characters and my story. My books are set in France, Brittany, Southwest England, and Wales. A great deal was going on in all of these countries during this time, and of course, there is the ever-present Church. I wanted to bring the history and the legends together. For this era the two go hand in hand, and I am incredibly fascinated by that fact. That is probably one of the most challenging questions for me to answer. I actually tutor Modern History, but I have never felt inspired to write a story set during this time. I think, as an author, the Early Medieval era is perfect for me. It sounds strange, but I feel at home when I am writing about this period. I think I was initially drawn to it as a child because of the Arthurian connection to where I lived, but the more I researched this era, the more fascinated I became. As with most historical fiction authors, I spend more time researching the era my books are set in than I do writing. I love books, and I have many, many books on the Early Medieval period. I like to be able to lay them all out on my desk and cross-reference them. I am a terrible person, I do make notes in the margins, and I scribble all around the text, and underline key sentences. I even bend the pages down if I find something particularly fascinating. The Internet is also a great resource in itself although I always try to make sure that the information I am reading is from a reliable source. I go to talks by historians. I watch documentaries, and of course, I visit some of the places where my books are set in. To bring an era to life, you have to know it really well, and I am continually researching. I am always looking things up. I am always learning something new. As to how long it takes me to write. The first book took me twelve years. However, now, it usually takes me around six to eight months to have finished that all-important first draft. I usually stare out of the window, with a frown on my face, for a little while. However, I am quite proactive, I will get the thesaurus out, and I will not write another word until I have found the one I wanted! I do have Scrivener, but I don’t use it. I prefer to write in Microsoft Word. The only time I use the good old paper and pen is when I am researching. I never write in longhand. I don’t think my hand could keep up with the ideas that flow through my head and if it did, I am pretty sure my writing would be illegible! 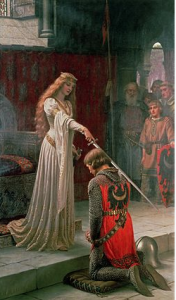 I adore The Accolade by Edmund Leighton. It always make me think of the great Arthurian romances. I also find music very inspiring. I have many play lists that reflect the mood of the scenes I am trying to convey in my books. I have just started the research for Book 5 in The Du Lac Chronicle’s series. This time I am getting to grips with 5th Century, Jerusalem, as one of my characters spent some time there. I have a mountain of books to read on Jerusalem and the Eastern Roman Empire. I am learning a great deal, and I am really enjoying researching this remarkable city. Good luck with your new book, Mary Anne – and I’m jealous that you live in such a magical area of England! 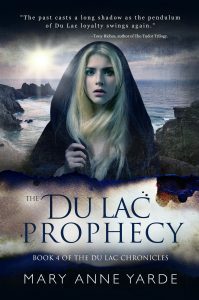 The Du Lac Prophecy is available on Amazon US, Amazon UK, Amazon CA and Amazon AU. Haven’t subscribed yet to enter into giveaways from my guests? You’re not too late for the chance to win this month’s book if you subscribe to my Monthly Inspiration newsletter for giveaways and insights into history – both trivia and the serious stuff! In appreciation for subscribing, I’m offering an 80 page free short story Dying for Rome -Lucretia’s Tale.